The Inevitable Zombie Podcast episode 006 has arrived! WOO! We’re back baby! You guys asked for it and we’re delivering. Cory and I are currently well into Zombie Movie Marathon Month (2011) at this point and we’re loving every minute of it. So come listen in to our reviews on the movies we’ve watched so far, and make sure to weigh in with any questions or comments for next weeks show. This week Cory and I discussed the top 10 directors who need to direct a zombie movie, but never have. Also, we wrapped up the 2010 year with a look back at what Cory was looking forward to, and what we are looking forward to in 2011. No real show notes because it’s a list show, and I don’t want to spoil the surprise of who we picked. However, here is a link to Cory’s original post about his most wanted directors for a zombie project. And here is a link to Cory’s 2010 most wanted and most anticipated zombie projects in general. 37:30 – 40:00 – Closing notes and podcast info, a call to arms, and a surprise next week!! 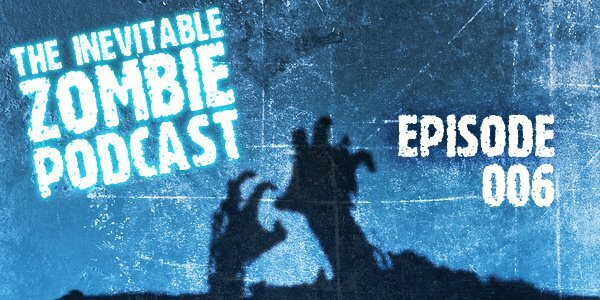 This week we discuss The Walking Dead episode 2: Guts, and the upcoming World of the Living Dead online browser based MMO. We also single out some regular commenters on the site and talk about some upcoming movies, including the mysterious but recently popular Swedish zombie flick ZON261. There’s some talk about how we feel about Pride and Prejudice and Zombies and their choice for a director, followed by why we hate Meghan Fox and why she should stay away from zombie movies. We wrap it up with some talk about zombie romance, and why it won’t and shouldn’t reach the levels that Twilight has with vampires. Enjoy! Spoilers for The Walking Dead as a series in comic book and future episode form occur from minutes 20 to 26 and we mark them in the podcast, so make sure to avoid that area if you don’t want to know what’s in store. Each week Cory Casciato and I will go into the world of the walkers to tell you the latest important zombie news. We’ll wrap up the previous episode of The Walking Dead, discuss upcoming movies and games, comics, and probably break off on a tangent or two about other interesting news as well. 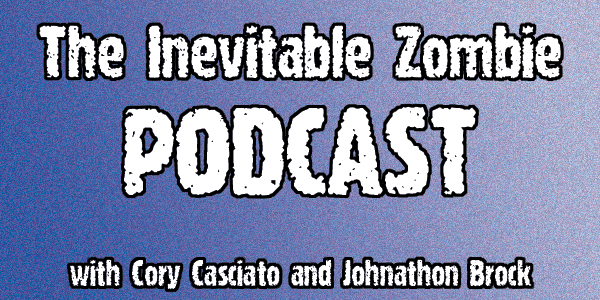 So without further ado… Episode Zero has arrived. Now if you’re not looking to get spoiled on The Walking Dead, or you haven’t read the comics, you’re going to want to skip minutes 20 through 27 of the podcast. Everything before and after that is safe, although we do spoil the pilot episode itself if you haven’t seen it (if you haven’t seen it, just head over to AMC.com and watch it online before you listen to this). If you’re wondering why we’re calling this episode zero, it’s because it’s a trial run. We’re still getting the recording specifics together, I’m designing the logo for Itunes and creating the feed, we’re finding our groove, etc. Next week the post should have a little more organized layout with show notes, a graphic header and a link to the feed as well. Itunes should follow a few weeks after that because it takes about a month for a podcast to get approved in their store and be search-able.